The Center for Integrated Computing and STEM Education at the University of California, Davis has launched C-STEM Studio, a Web resource that provides code, documentation, teacher guides and textbooks for teaching science, technology, engineering and mathematics (STEM) through computing and robotics. The center has also introduced a virtual robot simulation program. Harry Cheng, the director of the center and a professor of mechanical and aerospace engineering at the university, called the new C-STEM platform, "a turnkey solution for teachers and students." The materials released in the C-STEM Studio use Ch, a programming tool from SoftIntegration to help beginners learn C and C++. It was originally created to teach programming to non-computer science majors. The company makes a "standard" version available for free and also sells a professional edition. The curriculum developed at the center has been tested out in about 200 K-12 schools, most in California. The C-STEM algebra curriculum, in particular, is aligned with Common Core State Standards in mathematics. What the students learn allows them to control robots from Barobo and Lego as well as Arduino microcontrollers. RoboBlockly was launched by the center as a virtual robot simulation. 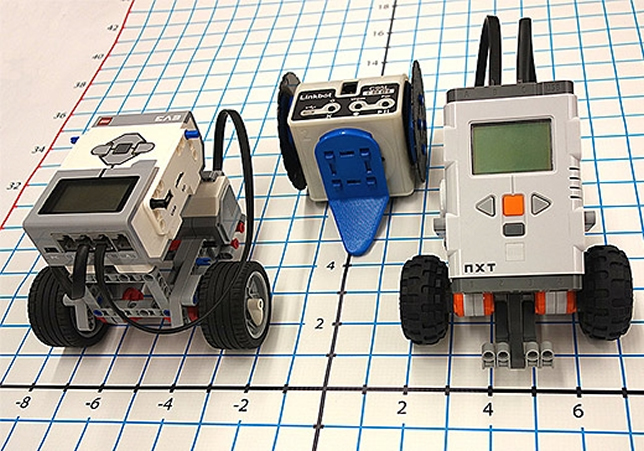 Students experiment on a Web site by using a puzzle-piece interface that controls the virtual robots and generates the code for controlling real robots. RoboBlockly runs on laptops, tablets, iPads and smartphones. It's available in multiple languages. Curriculum developed for RoboBlockly includes activities for student self-guided Hour of Code and teacher-led math activities that meet Common Core Standards for grades 4-9. Teacher notes and resource packets for these activities are freely available. The university also hosts events every year for teachers who use the C-STEM curriculum and students to show off their robotics expertise. Cheng began his work with computing and robots as teaching tools nine years ago as a way to help underrepresented groups of students learn math and science. However, he found that often the schools attended by those students lacked the resources for adding a computing program. So he developed his curriculum as a way to use robots and programming to teach math and science to the kids in classes they already take. He founded the C-STEM Center in 2010 as a hub to work with schools.